DD Mau's vermicelli bowls can be customized with your choice of protein and sauce. Julie Truong may have been destined for the restaurant business, but it was a destiny she refused to accept, at least for the first few decades of her life. It wasn't that she disliked cooking. Quite the opposite. Truong was always in the kitchen, helping out as her family prepared traditional Vietnamese dishes for everything from casual weeknight dinners to extravagant feasts. However, as the daughter of Vietnamese immigrants who spent their days and nights toiling in their north St. Louis restaurant, Vinh Chop Suey, Truong had a front-row seat to the backbreaking reality of restaurant work. Having no romantic illusions about the industry, she swore even at an early age that she would forge a different path. That path led her to the Fashion Institute of Design & Merchandising in Los Angeles, where she learned about apparel, merchandising and business. Still, no matter how busy Truong's studies kept her, her love of food stayed with her, and she would regularly find herself in the kitchen, cooking for friends or alone just to decompress. 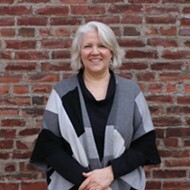 Her reputation for being a good cook followed her when she returned home and enrolled at Mizzou. It even trailed her when she landed her dream job, working for Levi's in Chicago, though this time, things were different. 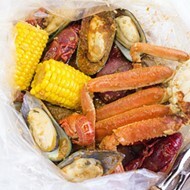 Rather than it being others who recognized Truong's culinary calling, in Chicago she finally began to see it in herself. By day, she worked her high-profile fashion gig; by night, she explored the city through its food scene. Whether she was cooking or going out to eat, Truong dreamed of what a restaurant of her own would look like, keeping a journal full of ideas about food, service and business. Then and there, the seeds of DD Mau began to germinate. Truong may have been surprised by her decision last year to return to St. Louis and open a restaurant, but her friends and family were not. By then, her vision was clear: She would open a fast-casual Vietnamese restaurant in the customizable style of Chipotle or Mod Pizza. She'd noticed a gap in the market for a modern take on southeast Asian cuisine; the format appealed to both her passion for her culinary heritage and her business acumen. 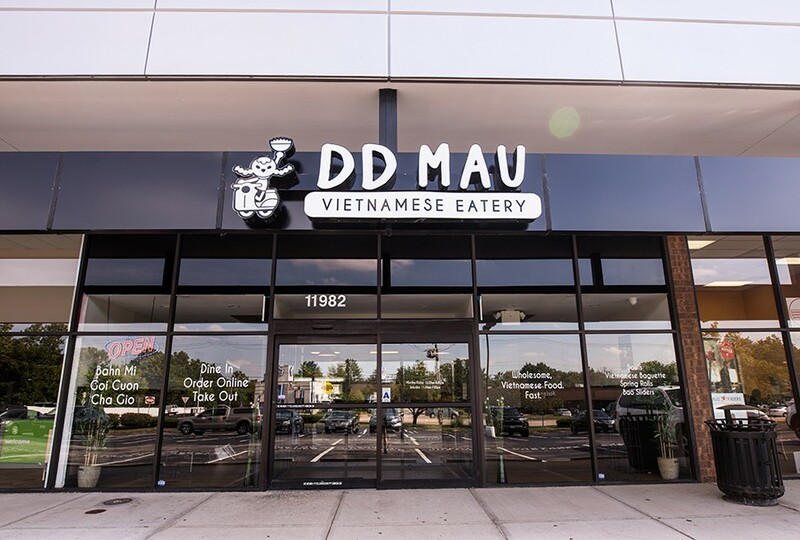 Truong chose to open DD Mau, whose name roughly translates to "hurry up" or "let's go," in Maryland Heights, an area she selected for its near-capacity business occupancy and dearth of food options. The restaurant sits off Dorsett Road in a strip mall that used to house the American-style Chinese restaurant the Rice House. The dining room is spare, but tasteful. 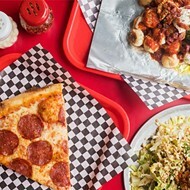 Truong has observed many longtime customers' shock at the space's transformation from Chinese-inspired red-and-black décor to a sleek and modern bright white room. Gone are the mirrors and conference-room art, replaced with framed whimsical food-pun cartoons done by an artist friend. 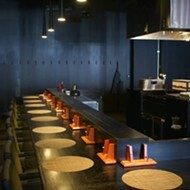 There is a bar-like counter at the front of the restaurant, but do not be deceived: This is a counter-service spot with no liquor. You may still be tempted to linger, though; what's coming out of Truong's kitchen is intoxicating in its own right. Indeed, if guests are surprised by the aesthetic transformation, they should be positively gob-smacked by the change in what's coming out of the kitchen. Truong may be operating under the fast-casual model, but her cooking takes no shortcuts. Following the traditional techniques she grew up learning how to execute, Truong is serving food of shocking quality for such a casual model. 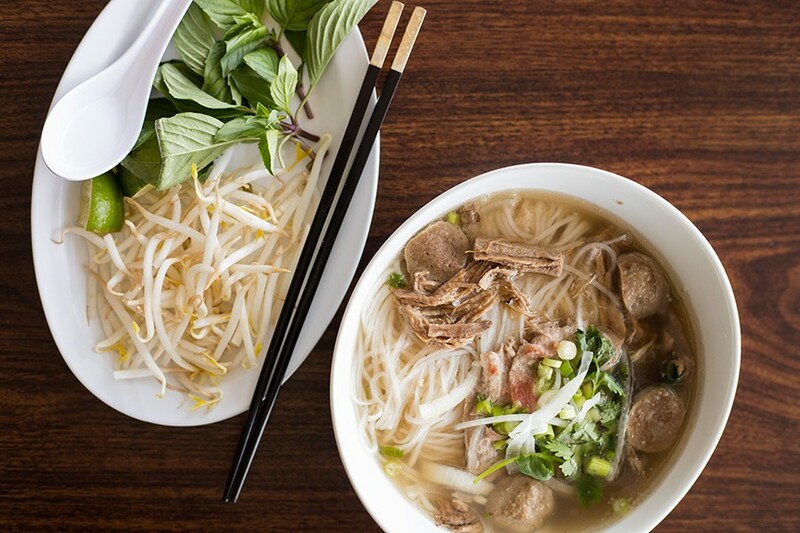 It feels both innovative and fiercely authentic, customizable yet appealing to fans of traditional Vietnamese food. 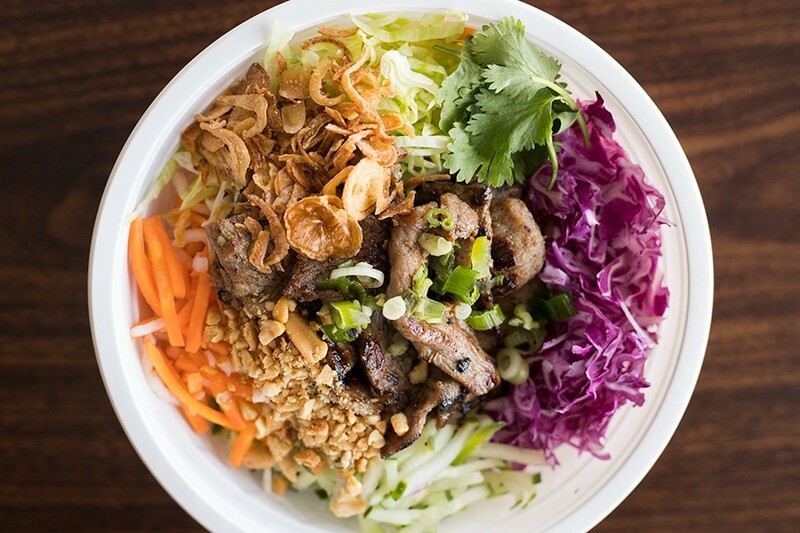 For instance, you can get a vermicelli bowl with such traditional accoutrements as crushed peanuts, cilantro and pickled vegetables, but it can be tossed with a dressing, such as the funky "Vietnamese Vinaigrette," which infuses the bowl with depth from fish sauce, sugar, vinegar and chiles. All bowls come with your choice of protein; in this case, I opted for tofu and was impressed by its crisp exterior, which yielded to a creamy inside that soaked up every bit of flavor from the vinaigrette and pickled veggies. Spring rolls are stuffed with shrimp, lettuce, cabbage, cucumber and vermicelli noodles. Other than swapping rice for noodles, DD Mau's rice bowl is nearly identical to the vermicelli version, with the addition of an over-easy egg whose yolk breaks open and runs over the dish like a rich dressing. Here, thinly sliced grilled steak proved to be an excellent option. Juicy and flavored with black pepper and char, the meat comes off the grill just a second prior to being placed atop the noodle bowl — quite a departure from the meat-filled steam tables so often found in fast-casual restaurants. It may take a touch longer than plopping pre-made ingredients onto a plate, but the quality is worth that extra three minutes. 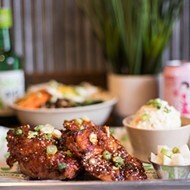 In the spirit of the space's former tenant, Truong also serves a fried rice bowl that ticks off everything you want in Americanized Chinese food: salt, the delightful sweetness of translucent white onions and tender dark-meat chicken. 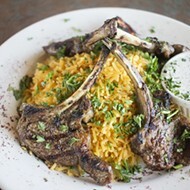 This well-executed version shows why the dish is so ubiquitous. 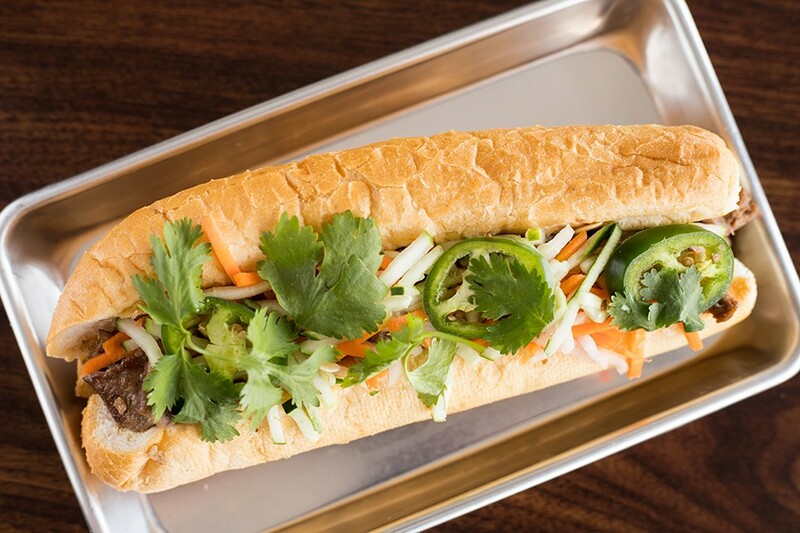 Bánh mì is topped with a pickled medley and house mayo, but no pâté. DD Mau's bánh mì is a solid take on the classic sandwich. A light and crusty baguette is layered with succulent marinated sliced pork, mayonnaise, cilantro, jalapeño, cucumber, pickled carrots and cabbage. Missing is the traditional pâté; without it, the sandwich seemed designed to appeal to a less-adventurous audience. It keeps with the theme of what Truong is trying to do, though I myself would've preferred its addition. 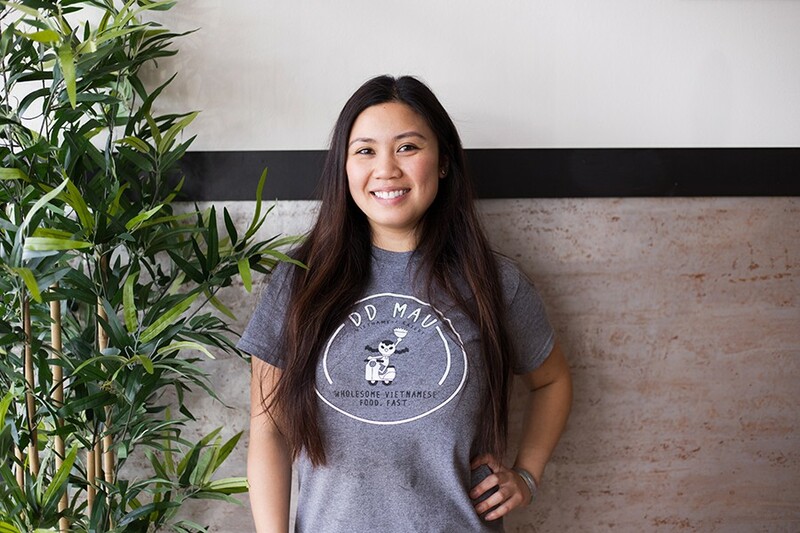 When DD Mau first opened, Truong did not have pho on the menu, but popular demand prompted her to add it. Thank goodness she listened to the people, because the combination version is one of the restaurant's best dishes. The anise-scented broth is slightly sweet and decidedly more rich than ultra-traditional versions. If you're approaching as a purist, you'll see it as a fault. If you are enjoying a meal with your mouth instead of your head, you'll revel in the luxuriously round mouthfeel and small slick of beef fat that floats to the top. Meatballs and rare beef float in the broth, but it's the brisket joining them that makes the dish. The fork-tender meat is smoked, providing a deep, earthy flavor that is balanced out by accoutrements like lime and jalapeño. It's like eating pho in the middle of a Texas smokehouse. 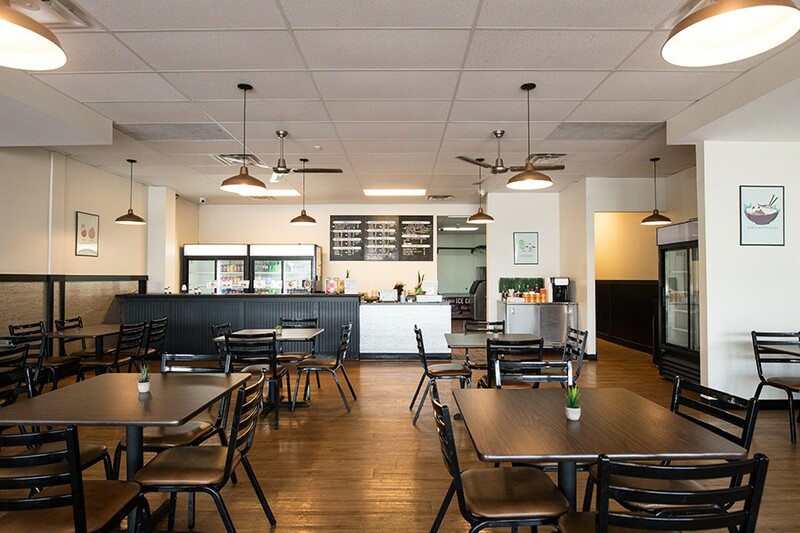 Truong added pho to the menu after getting requests from customers. Now she's serving one of the city's best versions. Truong's knack for soups is also apparent in a vegetarian spicy-lemongrass version. The chile heat sneaks up on you, creeping up and warming the back of the throat. Lemongrass is apparent, but not so much that it overpowers — it's a delicate dance of floral perfume and heat that soaks into the accompanying silken tofu. Rice noodles, bean sprouts, mushrooms and fresh herbs bob in the addictive broth. This is an off-menu special, so if you see it, make sure you seize the opportunity. 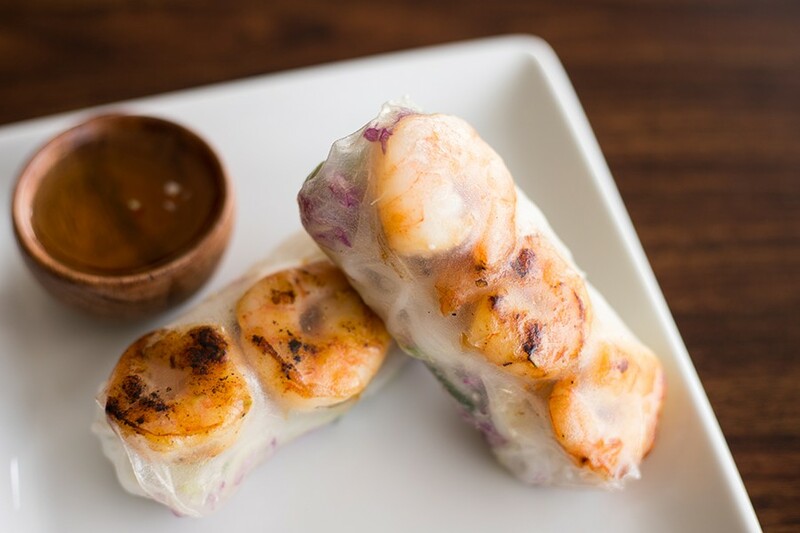 DD Mau offers several appetizers, including Vietnamese spring rolls stuffed with shrimp that is so fresh from the grill you can feel it steaming through the translucent rice paper wrapper. Bao sliders are a fun take on the trendy buns. Stuffed with pork they're good; filled with crispy fried basa, a fish similar to catfish, they are positively addictive. One bite of that catfish — heck, one bite of anything at DD Mau — makes it clear that Truong was destined to be in the restaurant business. Her family knew it, her friends knew it and now, after a lifetime of thinking otherwise, she finally knows it. It may not be the path she thought she would take, but clearly, it was one she was meant to forge — and one we are lucky to walk with her.